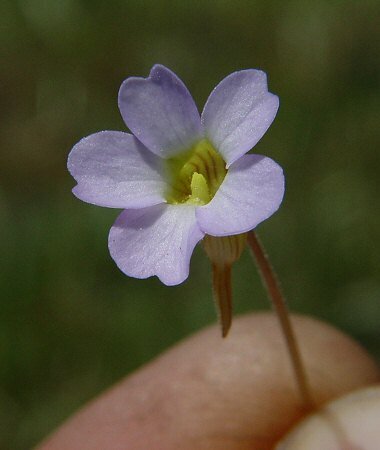 Other information - This striking little species has only been reported from the two southern-most Alabama counties. It is an uncommon plant throughout its limited range becasue of loss of habitat and fire suppression in pine savannah areas. 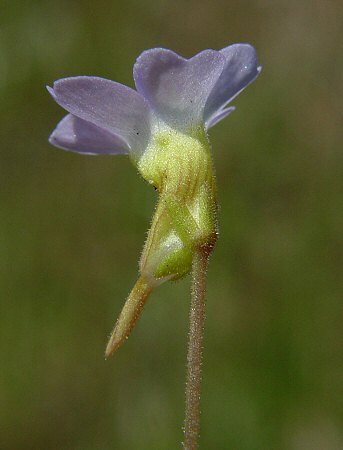 The plant can be identified by its habitat, small leaves, and small blue flowers. 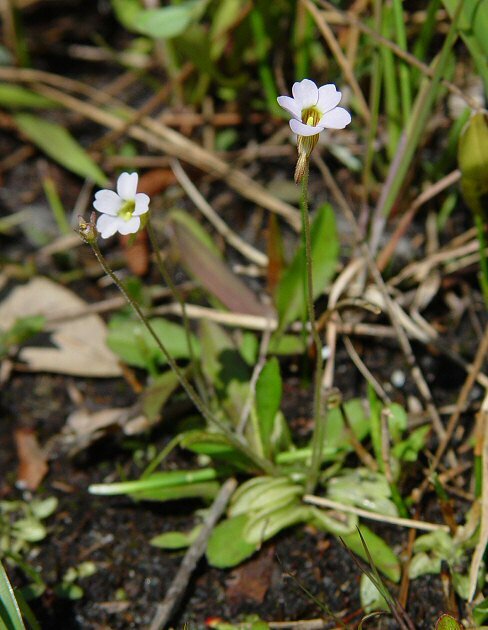 The genus name Pinguicula derives from the Latin "pingu(i)" meaning "fat, stout" and "cul(a)" meaning "little" referring to the somewhat fat leaves of the plant. The species epithet pumila derives from the Latin "pumil" meaning "a dwarf" referring to the plants small size. Photographs taken at the Saint Marks National Wildlife Refuge, FL., 3-30-05.